I am delighted to announce the release of my latest book, Pathways to Peace: Facing the Future With Faith — Meditations from Isaiah 40. 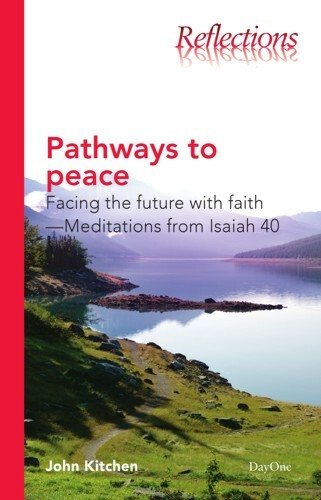 Isaiah 40-66 has been called “a survival guide for an uncertain future.” Isaiah 40, then, becomes our first step forward in faith. A simple pattern emerges from the prophet’s words in this strategic chapter: Only God’s presence sustains you in the panic of an uncertain future, and God’s presence only brings you peace when you appreciate his preeminence over all things. Through this series of posts we have been seeking to understand preaching as a God-appointed means to bring His people to maturity. In this pursuit we have employed the word “mature” as an acrostic. With this post we come to the final leg of our journey. The final step in the process of moving toward preaching that builds believers up in Christ is that of evaluation. We preachers are notoriously subjective in our evaluation of ourselves and our preaching. We tend toward one of two extremes in self-evaluation. We may on the one hand be overly generous with ourselves. One Sunday a pastor preached what had to be one of his best sermons ever. He felt good about it–really good about it! As he drove out of the church he wondered what his wife would say in response to the message. They drove through town making their way to a restaurant where they were to enjoy a relaxing Sunday dinner. She said nothing. Finally, to break the ice, the pastor queried aloud, “How many really great preachers do you suppose there are in the world?” She responded, “One less than you think!” Ouch! We may, on the other hand, be overly severe in our evaluation of ourselves. Even such a great mind as Augustine struggled here. My preaching almost always displeases me. For I am eager after something better, of which I often have an inward enjoyment before I set about expressing my thoughts in audible words. Then, when I have failed to utter my meaning as clearly as I conceived it, I am disappointed that my tongue is incapable of doing justice to that which is in my heart. The chief reason is that the conception lights up themind in a kind of rapid flash; whereas the utterance is slow, lagging and far unlike what it would convey. I can recall early in my preaching ministry the horrible tyranny of Sunday afternoons and evenings. My wife told me I had PMS. If it wasn’t Pre-Message Syndrom it was Post-Message Syndrom. Thursday through Saturday where shot by the one and Sunday through Tuesday were ruined by the other. Wednesday wasn’t too bad. So how do we find some objective means of evaluation? I would like to suggest Paul’s final written communication to Timothy. With his last pen strokes Paul wrote, “All Scripture is inspired by God and profitable for teaching, for reproof, for correction, for training in righteousness; that the man of God may be adequate, equipped for every good work. I solemnly charge you in the presence of God and of Christ Jesus, who is to judge the living and the dead, and by His appearing and His kingdom: preach the word; be ready in season and out of season; reprove, rebuke, exhort, with great patience and instruction” (2 Tim. 3:16-4:2). This points to a unity of thought that may not be readily apparent because of the division of the chapters. This makes plain what we have already suspected, that God’s purpose for the Scriptures (3:16-17) is not removed from His purposes in preaching (4:1-2). Preaching should allow the Word of God to dominate and arrive at its intended purpose. How can this help us in evaluation? Perhaps the truths of this Scripture could be transformed into questions helpful to us in reviewing our ministry of building believers through preaching. Consider the following questions. Ask yourself: Through this sermon how has God presented what is right? (“teaching”; “preach”) Another way of asking the same question is have I positively unveiled God’s Person, truth and way? A second question might be asked: Through this message how has God revealed what is wrong? (“reproof”; “reprove”) That is to say, Have I negatively laid bare what is distorted, perverted or erroneous about their thinking of God, truth and discipleship? A third question would be: Through this preaching how have I illumined the way back from sin to God? (“correction”; “rebuke”) Have I helpfully shown the way back to God’s Person, truth, and way? A final question should be considered: Through this message have I established them in what is right? (“training”; “exhort”) Restated it might be asked, Have I helped them to trust in God’s Person, hold to God’s truth, and stay in God’s way? Another set of questions might take our investigation even further. These too are based upon this passage. Have I led them to exult in the presence of God (“in the presence of God”, 4:1)? Have I led them to kneel under the authority of God (“and of Christ Jesus who is to judge”, 4:1)? Have I led them to desire the return of Christ Have I led them to live under the reign of Christ (“by His appearing”, 4:1)? (“and His kingdom”, 4:1)? These questions do not remove the subjectivity inherent in self-evaluation. But they do help objectify the process as much as possible. They also become the format for helpful and intentional input from peers, parishioners, and even our wives. This Book is the mind of God, the state of man, the way of salvation, the doom of sinners, and the happiness of believers. Its doctrines are holy, its precepts are binding; its histories are true, and its decisions are immutable. Read it to be wise, believe it to be safe, practice it to be holy. It contains light to direct you, food to support you, and comfort to cheer you. It is the traveler’s map, the pilgrim’s staff, the pilot’s compass, the soldier’s sword, and the Christian’s character. Here paradise is restored, heaven opened, and the gates of hell disclosed. Christ is its grand subject, our good its design, and the glory of God its end. It should fill the memory, rule the heart, and guide the feet. Read it slowly, frequently, prayerfully. It is a mine of wealth, a paradise of glory, and a river of pleasure. Follow its precepts and it will lead you to Calvary, to the empty tomb, to a resurrected life in Christ; yes, to glory itself, for eternity. 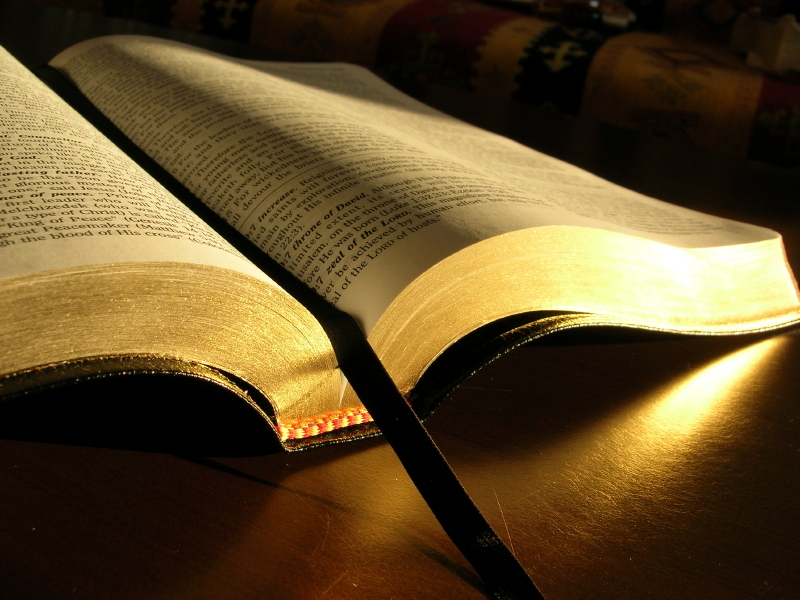 We must lead them to the Book that they might gaze upon Him who is true and that they might walk in His light. As we are faithful God will make us successful so that He might be glorified and His people MATURE. If you like, here is the entire article on Preaching to Build Believers. Fidelity, not novelty, builds strong believers. Who among us has not felt the pressure to be clever, new, and different? Who has not set in their study looking over their message on Saturday afternoon and remarked, “They have heard all of this before!” The pressures to novelty are many. Some pulpits are in danger of becoming nothing more than Athenian soapboxes where “strangers which were there spent their time in nothing else, but either to tell, or to hear some new thing” (Acts 17:21, KJV). George Orwell once noted, “We have now sunk to a depth at which the restatement of the obvious is the first duty of intelligent men.” We in the church have come to that day. But it is not by accident, and it is not a new arrival. The Scriptures tell us that preaching to build believers means undertaking an intensive ministry of reminder. Before you disparage the ministry of reminder, remember that the ministry of reminder is God’s work. Jesus told us, “The Holy Spirit whom the Father will send in my name, will teach you all things and will remind you of everything I have said to you” (John 14:26). God sent the Holy Spirit for this very ministry of reminder. Reminder is His work, and we participate in it as we become His channels for reminder in another’s life. This knowledge emboldens us in our ministry of reminder: “I have written to you quite boldly on some points, as if to remind you of them again” (Rom. 15:15). To Timothy Paul said, “Keep reminding them of these things. Warn them before God” (2 Tim. 2:14). Paul charged Titus, “These . . . are the things you should teach. Encourage and rebuke with all authority . . . Remind the people . . .” (Titus 2:15-3:1). We need to make reminder a priority in our preaching. Paul told the Romans, “I have written . . . as if to remind you” (15:15). Peter said, “Dear friends, this is now my second letter to you. I have written both of them as reminders to stimulate you to wholesome thinking” (2 Pet. 3:1). If these books of the New Testament were written as ministries of reminder let us never conclude that a message is “just a reminder” of the familiar truths of God’s Word. Let us never underestimate the power of God’s truth as He reapplies it to the hearts of His people. Everyone within the body of Christ is in need of the ministry of reminder. Those who struggle in their faith need it (1 Cor. 4:17; 2 Tim. 2:14). It is also for those who are growing and advancing in their faith. The Romans were those “full of goodness, complete in knowledge and competent to instruct one another” (Rom. 15:14), but they needed a detailed reminder of the truth (Rom. 15:15). Paul reminded Timothy of important truths (2 Tim. 1:6). Reminder is for those who already has a firm grasp on the truth: “Though you already know all this, I want to remind you” (Jude 5). Peter reminded his readers, “even though you know them, and are firmly established in the truth” (2 Pet. 1:12). Don’t assume that “just reminding” the people of truth they have already encountered is taking the easy way out. Note the words of intensity associated with the ministry of reminder. “So I will always remind you of these things . . . I think it is right to refresh your memory. . . . And I will make every effort to see that after my departure you will always be able to remember these things” (2 Pet. 1:12-13, 15, emphasis mine). “Do your best to present yourself to God as one approved, a workman who does not need to be ashamed and who correctly handles the word of truth” (2 Tim. 2:15, emphasis mine). Bill Hull has said, “In today’s church, the obvious is revolutionary.” Again he says, “The obvious restated and applied shakes the church at its foundations.” Love keeps prayerfully, diligently, sacrificially, faithfully, and repeatedly coming back to the multifaceted jewel of scriptural truth. Love holds that truth in awe and wonder before a congregation of hurting people and invites them to once again come and discover the unfathomable beauty of a clear look at that which they will spend eternity investigating. F.W. Boreham said, “It is the duty of the pulpit to say the same things over and over again. They must be clothed in different phraseology, and illumined by fresh illustration, and approached by a new line of thought, but the things that are really worth saying must be said repeatedly.” As we do this, God will build His people strong in Christ. What do we mean by making the “u” of mature stand for understanding? It means we need to understand the nature of preaching as it relates to building up believers. A good deal has been written on the preaching event, and we profit from much of it. Truly the event of preaching is a holy thing. In those moments God Himself fills, empowers, anoints and speaks through His spokesman as He exposes the text of Scripture to needy people for whom His heart longs. Preaching is an event. We do well to reflect upon this aspect of preaching. Yet when it comes to building believers we must not only view preaching as an event, but also as a process. Many of us are impatient with process; we value event. Preaching as an event happens now, preaching as a process unfolds over time. Preaching as an event can happen in a blaze of glory, preaching as a process requires the steady flow of God’s power. Preaching as an event at times is transcendent, preaching as a process is often tedious and exacting. Preaching as an event may be epochal and memorable, preaching as a process may be deemed too slow and methodical. All this being said, building up the body of Christ is more of a process than event. We need to lift up the process of preaching without disparaging preaching as an event. Lets examine the preaching process together. Who builds the believer? The spiritualist says, “God does!” The egotist says, “I do!” The congregationalist says “We do!” Who is right? The fact is that they all are a part of the process of establishing disciples in Christ. Scripture describes the building up of the body of Christ as the work of God Himself. Yet God accomplishes this process not only through His direct heaven-to-heart contact, but through the agency of others. Hear Paul: “For we are God’s fellow workers; you are God’s field, God’s building. According to the grace of God which was given to me, as a wise master builder I laid a foundation, and another is building upon it. But let each man be careful how he builds upon it” (I Cor. 3:9-10). Again he says, “And we proclaim Him, admonishing every man and teaching every man with all wisdom, that we may present every man complete in Christ. And for this purpose also I labor, striving according to His power, which mightily works within me” (Col. 1:28-29). God uses preachers to build His people, and it requires nothing less than the flow of God’s omnipotent power through them. Yet neither is the building process simply a pulpit-to-pew process. God uses the whole body of Christ to build up its individual members. The Apostles declares, “He gave some . . . as pastors and teachers, for the equipping of the saints for the work of service, to the building up of the body of Christ” (Eph. 4:11-12). Our ministry, according to this passage, is not merely the direct upbuilding of the body, but also indirectly the building up the body by equipping its members to perform the ministry that will build it up. As each member is a part of a divinely coordinated process (in which preachers are afforded a major role), the entire body begins to be “fitted and held together by that which every joint supplies, according to the proper working of each individual part, causes the growth of the body for the building up of itself in love” (Eph. 4:15-16). This is whole-body ministry, but it is prepared, provoked and propelled forward through the ministry of the pastor/teacher. Building the body of Christ up is God’s work, for this reason we must let Him determine how it should be done. He declares that one primary means He uses is the preaching of the Word of God by pastor/teachers. Yet this is not only a direct means to upbuilding, but it is often also an indirect means, as individual believers are equipped for ministry and then moved by the Spirit to build up the body of Christ through the expression of Christ’s life through the unique blend of their gifts and person. Not even this, however, is the end of the process. There is still one key participant missing—the individual believer’s response to God’s work, the preached word and the ministry of the body. Peter demanded that we each must “. . . like newborn babes, long for the pure milk of the word, that by it you may grow in respect to salvation . . . you also, as living stones, are being built up as a spiritual house for a holy priesthood, to offer up spiritual sacrifices acceptable to God through Jesus Christ” (I Pet. 2:2-5). Jesus likened the hearing and responding to His words to that of building a house. To the one who hears and obeys He announced, “Everyone who hears these words of Mine, and acts upon them, may be compared to a wise man, who built his house upon the rock. And the rain descended, and the floods came, and the winds blew, and burst against that house; and yet it did not fall, for it had been founded upon the rock” (Matt. 7:24-25). Yet to those who hear only He said, “And everyone who hears these words of Mine, and does not act upon them, will be like a foolish man, who built his house upon the sand. And the rain descended, and the floods came, and the winds blew, and burst against that house; and it fell, and great was its fall” (Matt. 7:26-27). Indeed “Solid food is for the mature, who because of practice have their senses trained to discern good and evil” (Heb. 5:14). We need, then, to understand the process of building up the body of Christ and work within this divine process. Building the believer is ultimately God’s work. Yes, He condescends to allow preachers a significant role in this process. We must walk humbly and ever seek to understand what His will is with regard to the preaching of His Word. When we do, He makes certain that the members of the body of Christ are equipped and enabled to build up the other members. He deals with those who do not hear and obey and thus not only endanger themselves, but also the others they are in relationship with. We must understand the process and work within it for His glory. Not all of us appreciate process, lets be honest. We prefer event. We want every sermon we preach to be the one that will create the great breakthrough for God in our arena of ministry, and rightly so. God graciously grants us to hit a home run every once in a while. Yet, in the plan of God, the steady, consistent exposition of God’s Word by a loving shepherd builds the people of God strong in Christ. Understanding and appreciating the divine process of building believers is not always easy. As we seek to faithfully fulfill this ministry we soon discover the need for our next component in the acrostic. Few among our number doubt the authority of God’s Word. We’ve gotten our theology right. We even hold our theology passionately. Who among us does not feel a bit emotional when he recalls that he is called to “preach the word”? But, if our only authority is that from God given us in the text of Scripture, how does that guide us in our actual preaching? Our bibliology must inform and govern our homiletics. Our exegesis must govern our sermon crafting. 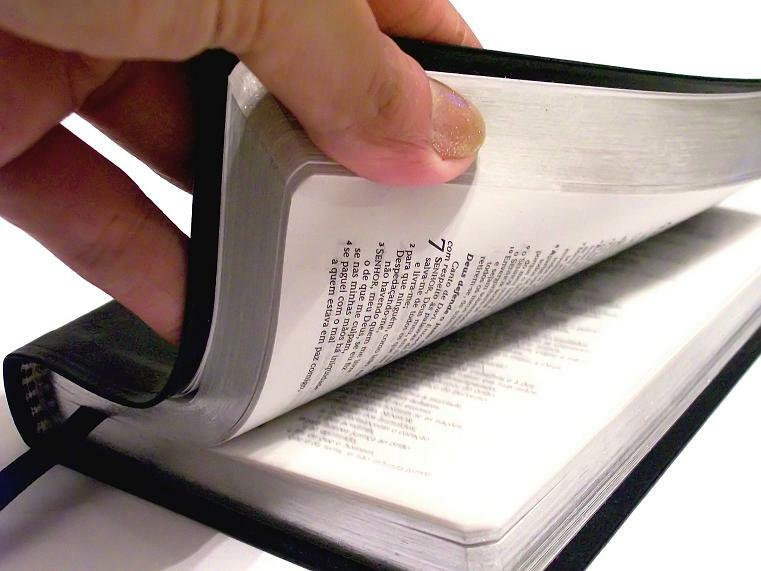 The text must govern the entire process of sermon preparation and delivery. Today there is great want of text-driven preaching. The rage is for market-driven preaching. The result is often a psychologizing of the text of Scripture that reads it first through the lenses of my experience rather than that of the original readers. Rather than being bound to the sacred text and governed by it from start to finish, the text often becomes a springboard that provides little more than a theme that then launches the preacher off on his own fancied flight. The danger is to become what David Potter asserts our nation’s advertizing agencies have become, communicators intent not on “finding an audience to hear their message but rather with finding a message to hold their audience” (David M. Potter, People of Plenty, Chicago: University of Chicago Press, 1954, p.183). In such a pursuit the structure of the message too often bears no resemblance to the structure of the text itself. This problem is not new. Even Luther lamented the problem in his day. If we want authority in our preaching, we must expose the authoritative text of Scripture. We must leave people looking with appreciation at their Bibles rather than in awe at us. Luke spoke of those who were “servants of the word” (Luke 1:2), and he used the title as a badge of honor. Run that phrase through your mind again, “servants of the word.” The word of God gives the orders. The word of God dictates. The word of God governs. 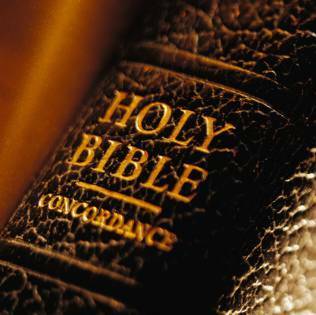 The word of God rules, commands and directs. Does it do so in the study as we craft our messages? Our goal is to preach what the Bible says. But our goal must be more than simply this. Our goal must be to preach what the Bible says, in the way the Bible says it. Do you discern the difference? A man may preach from I Samuel 17 about David’s confrontation with Goliath. He may wax eloquent about five smooth stones needed to slay the giants in our lives. He may select as his “stones” homiletical gems such as Bible reading, prayer, obedience, fellowship and witness. What he says may be Biblical, but has he been a servant of the word? Or has he made the word serve his purposes? He may have preached Biblical truth, but did he present it as the Bible presents it? In other words, is that the point of the story of David and Goliath? Was it God’s intent in breathing forth that Scripture that we should focus on the stones David put in his pouch? Or is there another meaning, that, if discovered through sweaty exegesis in the study during the week and allowed to mold the structure and substance of the message, will yield divine authority in the pulpit on Sunday? Some preach textually, some topically, and still other expositorily. If we, who are responsible for the ongoing diet of the people committed to our charge, are to nourish them and build them up over time we must make our preferred form of preaching that of expository preaching. While any of these forms of preaching may be deemed Biblical in a given instance, it is expository preaching that most ardently guards us from imbalance and personal preferences. A commitment to expository preaching drives you back again and again to the text of Scripture, modeling for our people how to handle a passage so as to come to God’s intended meaning and application. When we faithfully preach expositorily we not only expose them to the meaning of that passage, we open, over time, a method of approach to other Scriptures they will encounter in their own walk with God. This is especially so when we are committed to lectio continua (systematic preaching through books of the Bible). I define expository preaching as that form of proclamation which, in reliance upon the Holy Spirit, arises from and is delivered through a study of the grammatical, syntactical, literary, historical, contextual, theological and cultural elements of a given biblical text and seeks to convey the abiding and authoritative principles that are inherent in that text and were primary in the author’s intention in such a way that the enduring relevance of the Scriptures are made plain for the contemporary listener. Note again the words: “arises from and is delivered through.” Though the pulpit is not the place for the dumping of unprocessed information gained in the study, the preacher by means of selectivity and homiletical crafting nevertheless guides the people to discover what he has already discovered as he has been before God. This means that the main points and my sub-points of my message should arise from the text itself. I need to not only gain my main points from the text before me, I must wrestle with the text until I can sufficiently support that main thought from it with sub-points. Then, and only then, am I ready to add supportive Scriptures that may add weight to the argument of the Divine Writer of Scripture in the text before me. It has been suggested that cross referencing while preaching is the lazy man’s way to fill time. Though I may not like it, this is probably correct more often than I care to admit. Developing the selected pericope holds me close to the sacred text in the development of what I say on God’s behalf. In addition it is more likely to assure that I am saying what God is saying, and that I am saying it in the way He has said it. I must discover the mood of the passage and make that the mood of my message. I must labor to reflect the symmetry of the passage in the symmetry of my message. Few of us would ever preach a sermon that was not Scripture-based. Yet we must strive for more than simply being Scripture-based, we must wrestle until our messages are Scripture-shaped. In all things and in every way I must strive to be text-driven. This will build believers on the words of God. Do I trust the Word of God? Do I trust the God of the Word? Having answered both questions in the affirmative, then there is plenty of room for creativity, growth, improvement, learning and personality. But in the end do I trust the efficacious and living word of God or am I relying upon my ingenuity, cleverness and creativity? If I trust the latter, I may tickle ears, but people will leave hungry and with bloating stomachs. If I rest on the former, people will be nourished, built up and established in the faith. I must ask myself: Am I text-driven and market-sensitive or market-driven and merely text-sensitive?